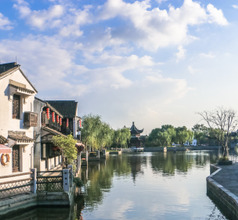 The Xitang Ancient Town is located near the Jiaxing City in China. The town is a 5A category tourist attraction with its painting-like scenery and peaceful environment. The town is flat and full of rivers that crisscross each other all over the town. 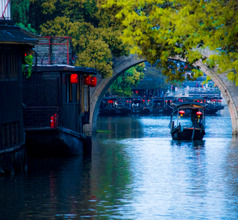 Consequently, there are a record number of 104 bridges in the water town. 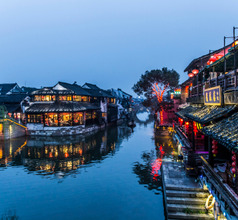 Nine waterways coming from different directions meet in Xitang town and its water transport system has been very efficient since ancient times to date. 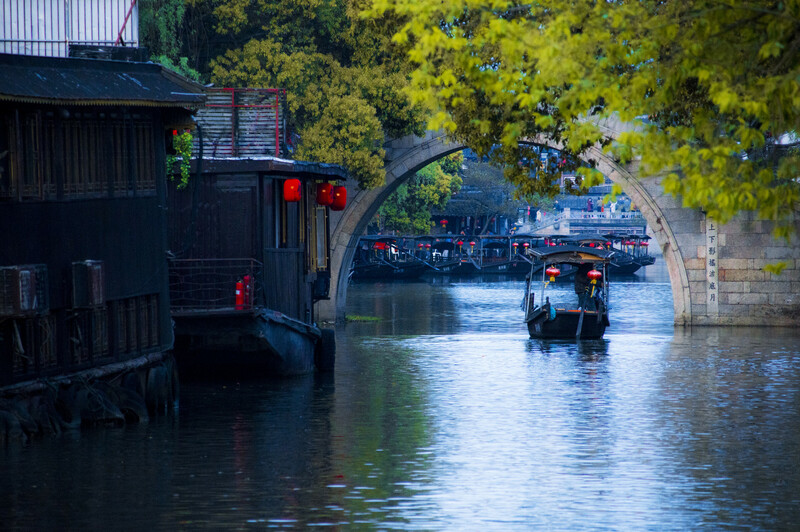 The waterways and the narrow canopied lanes form a very good network to move around the town for sightseeing. 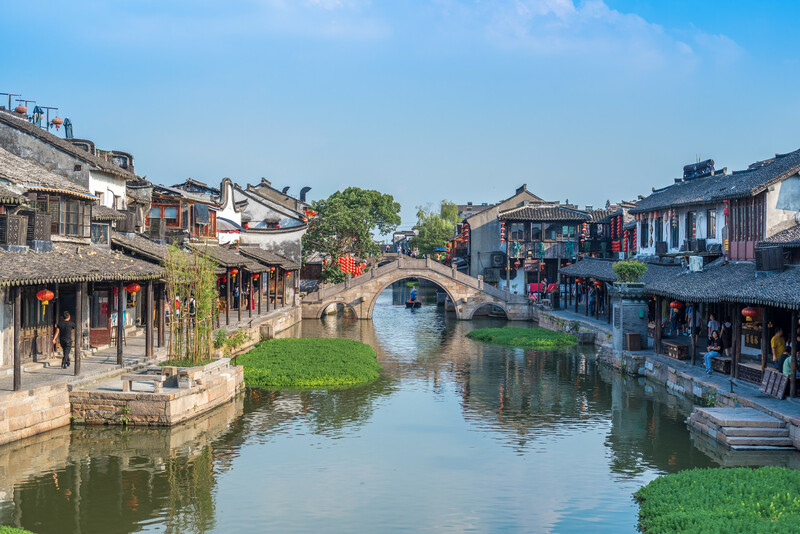 The bridges of Xitang Town are great examples of Ming and Qing style designs. Even the houses and commercial buildings are well-preserved structures that date back to the same periods. 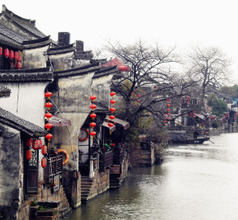 Canopied walkways are another unique aspect of Xitang Town. These covered riverside paths are narrow, interconnected measure 1,000 meters in total length. They have seating arrangements at intervals in the form of wooden benches where shoppers and tourists can take a break and admire the scenery. 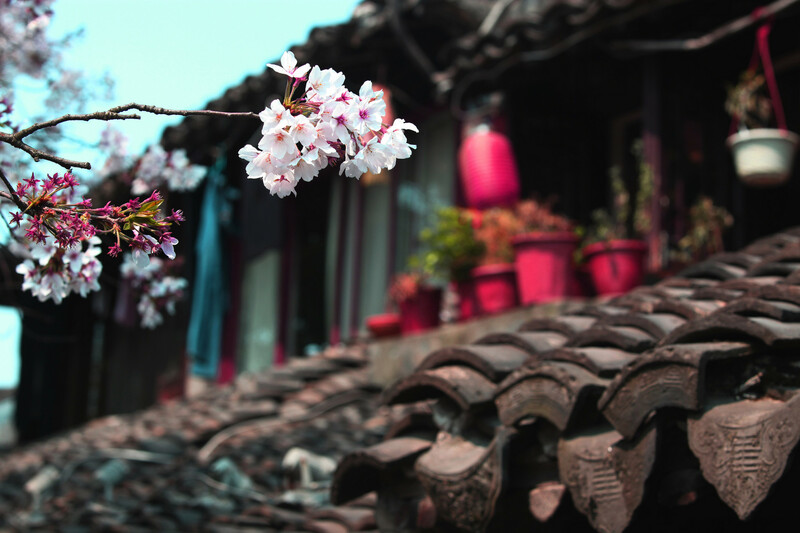 Although the paths are ancient, they are dotted with cafes and souvenir shops along the way. 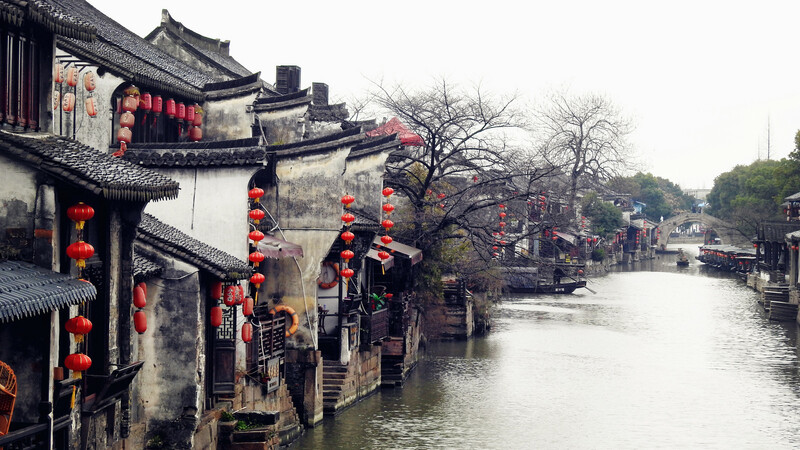 There are no star hotels in Xitang Ancient Town. 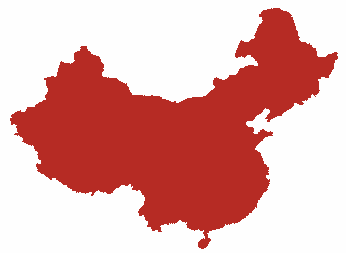 For such luxury, tourists can stay in one of the top hotels in Shanghai as the two cities are just 90Kms apart. 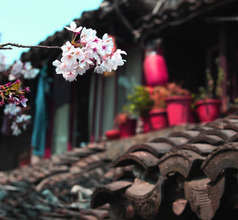 But the ancient town has several guest houses where rooms are let to domestic as well as overseas tourists. Many of these places have in-house restaurants and even provide a wholesome breakfast. Of course, luxurious amenities are not available like in 5-star hotels but the places are clean and reasonably well-maintained. The spectacular scenery just outside one’s window compensates for the lack of luxuries. 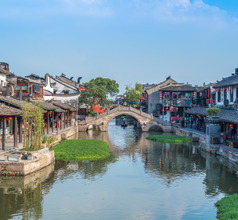 Of the 104 bridges in Xintang Town, the most famous ones having aesthetic designs are the Anren, Anshan, Qingning, Liafeng, Anjing, Wufu (Five Bliss), and Wolong (Crouching Dragon) Bridges. A majority of them are single arched or triple arched bridges with piers and wooden beams and are an awesome sight. Not just professional but even amateur photographers and tourist find the town very picturesque. The best vantage point for photography is the Yongning Bridge which provides a wide-angle look at the town. 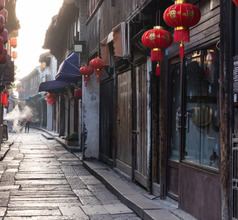 The ancient residences are surrounded by crisscrossing narrow alleys. They are still paved with ancient stones that have remained in a well-preserved state. The most famous among these alleys is the 68-meters-long Shipi Lane or the Stone-Paved Lane which has 216 stone slabs. 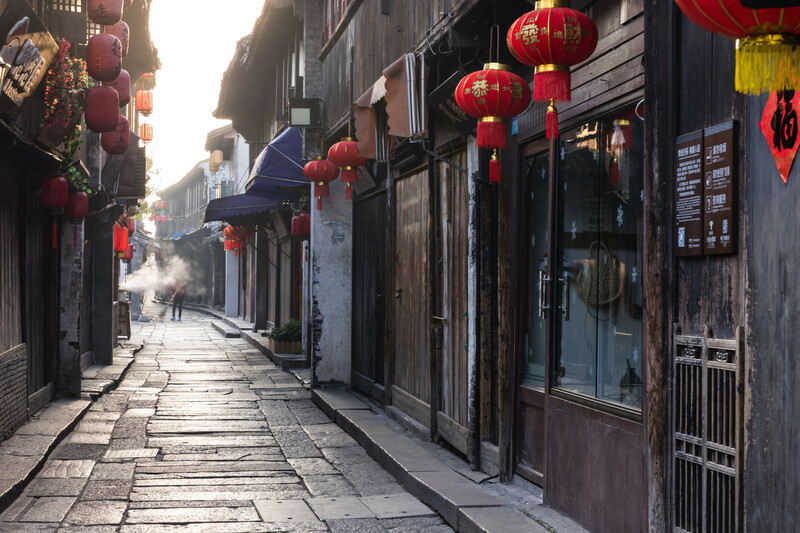 The narrowest one is the Wildcat Lane near the Huanxiu Bridge which is just 30 cms wide and is like a passageway between two houses. 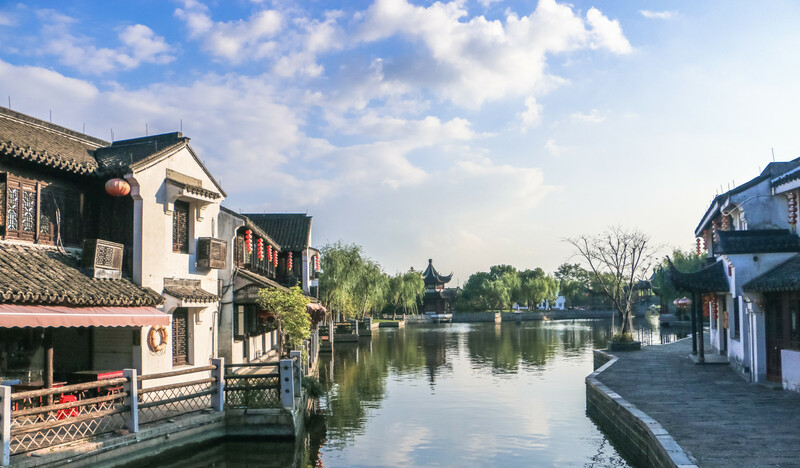 Other key tourist attractions in Xitang Ancient Town include the Wine Museum, Memorial Hall of Wu Zhen, Guyaoshi Temple, Button Museum, Huanxiu Bridge, Zuiyan Calligraphy Museum, etc. 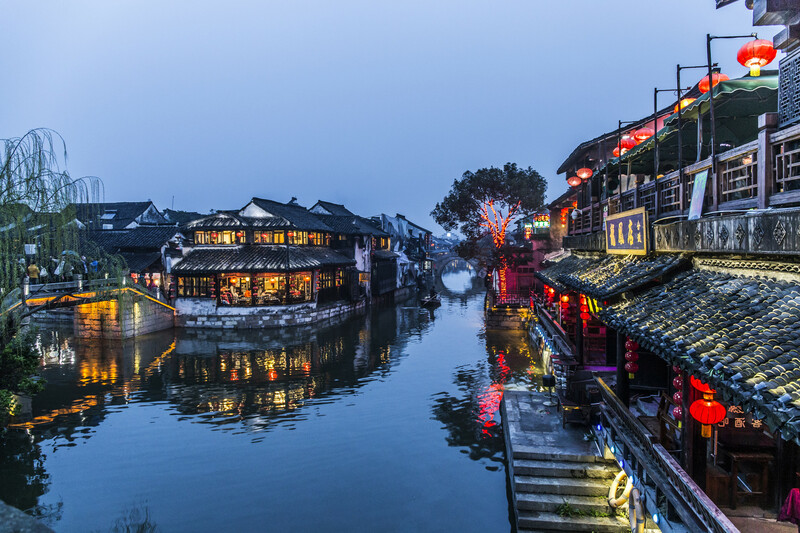 Tourists visit Xitang Ancient Town not only for its spectacular scenery but also to try out the local cuisine. 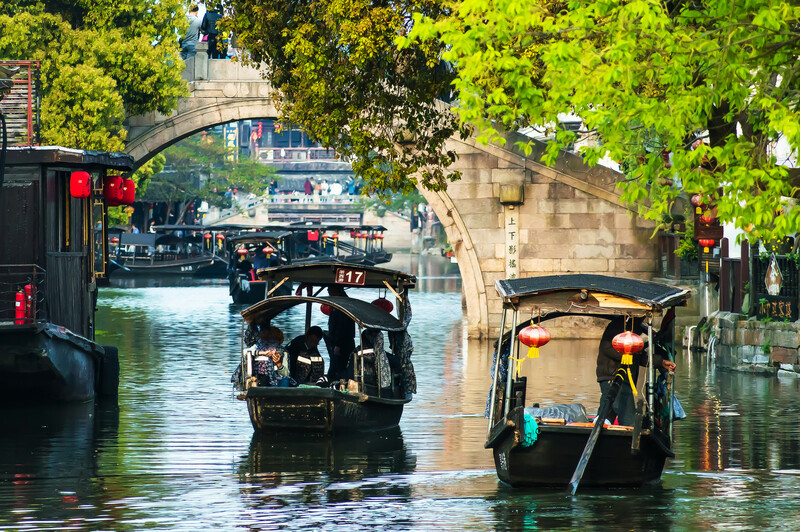 There are several cafes along the riverside walkways offering irresistible traditional Chinese delicacies. 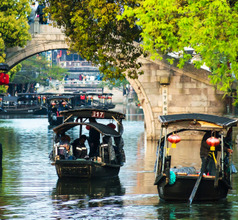 Visitors like to enjoy these meals while they watch boats pass along the beautiful waterways. It is an unparalleled and unforgettable experience for the palate and the eyes at the same time. Some of the local dishes they serve are doujiang youtiao (soy milk and dough fritters), stinky tofu, seafood snacks, bean-curd jelly, baked rolls with dried vegetable filling, meat wontons, lotus leaf chicken, fermented sticky rice ball soup, etc.